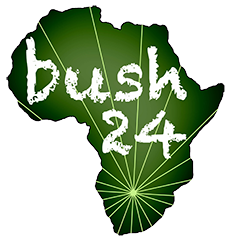 You are here: Homepage > Latest news: > Okavango: Buffalo Paradise! 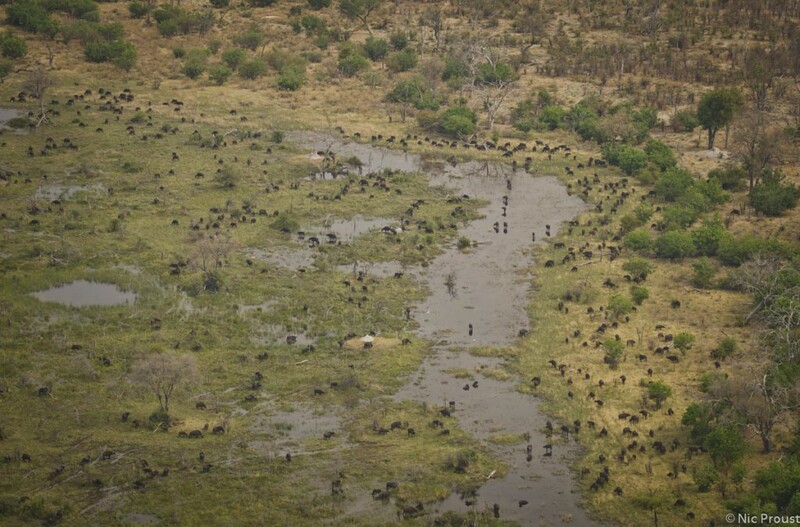 I snapped this shot of a huge herd of buffalo as we flew deep into the Okavango with no signs of roads or any human habitation nearby. You can just fly over these expanses and dream of what goes on down below and then suddenly before your eyes such amazing scenes open up in front of one! There are some huge herds of buffaloes and we have recorded gatherings of over 2000 and I remember counting almost 4000 on this day as we made our way around the southern edge of the delta. Aerial census shows that northern Botswana has over 60 000 buffalo and apart from being common throughout much of the Okavango there are good numbers along the Selinda Spillway, Savuti Channel and Marsh areas and a single drive along the Chobe riverfront can produce thousands during the dry season as the herds come down to quench their thirst!